Criminal Records Services Ltd have been processing Criminal Record Checks (DBS/CRB) for companies and individuals who work with vulnerable groups or who need a criminal record check since 2006. We have now processed DBS Checks for over 3000 companies in the UK and processed thousands of individual Criminal Record Checks from across the globe including China, Australia, El Salvador and throughout Europe. As a company we provide guidance on employability risk assessments if a certificate contains criminal conviction information ensuring that someone who should not be working with vulnerable groups isn't. Criminal Records Services provides Criminal Record Checks from most countries within the European Union (EU) enabling UK companies to check the criminal history of any employee they recruit from the (EU) from their country of origin. The company provides support to managers and businesses that employ individuals who require a Criminal Record Check and advice on DBS eligibility when relating to The Rehabilitation of Offenders Act 1974. Criminal Records Services have been certified with the ISO 9001-2015 certification since 2007 for our policies, procedures and systems ensuring they meet the very stringent standards this certification requires. 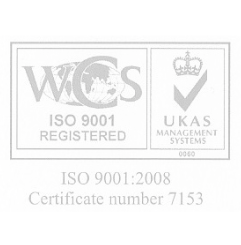 The online system is ISO 27001 certified. These respected certifications are acknowledged as a sign of quality standards both for our management and confidential standards across the world.